bears witness to the stigma of mental disorders and the difficulty individuals with these illnesses experience in receiving treatment by others that is respectful, without blame for their condition or judgment of the way in which they present themselves. Mark Landis at home with recent works. Photo by Sam Cullman. Courtesy of Oscilloscope Laboratories. What is the distinction between mischievous and dangerous? Where do we draw the line between justice-seeking and unhealthy obsession? What does it really mean to be a philanthropist? Art and Craft tells the story of Mark Landis, a prolific art forger who, at the time of filming, is alleged to have supplied over 100 pieces of art to 46 museums across the U.S. Mr. Landis' body of work covers a wide range of painting styles and periods, including 15th century icons, Picasso, and even Dr. Seuss. But after tricking Matthew Leininger, a former art registrar at one of the museums to which Mr. Landis supplied a forgery, his 30-year hoax begins to unravel. Mr. Leininger works tirelessly, arguably to the point of obsession, to seek justice and expose the con. As we learn, Mr. Leininger has only one problem: Mark Landis has committed no crime. For while Mr. Landis' forgeries would likely sell with high price tags, he has instead chosen to pose as a philanthropic donor and to give his replicas to various institutions. Why? Because what Mr. Landis wants more than anything, it seems, is neither the recognition as an artist nor the status as a wealthy man -- he wants to be respected, to be treated, as he would put it, "nicely." Kindness has been hard for Mr. Landis to come by. As the tale unfolds, we learn that he has suffered from severe mental illness since early adolescence when he was hospitalized for symptoms of psychosis. After an extended hospitalization, he insisted on leaving the psychiatric facility because "people that follow the advice of those places, they're mental patients all their lives." 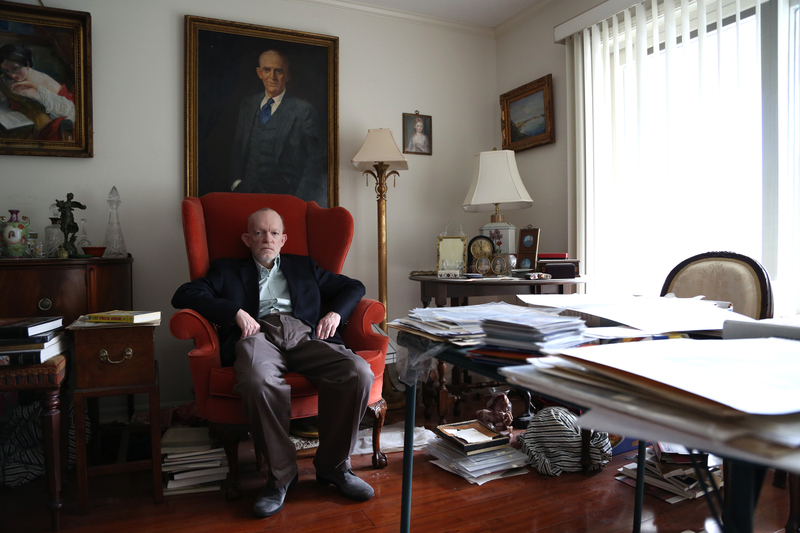 Mr. Landis does not want to be solely defined by his illness. But his journey following hospitalization, and especially in the last two years since his mother's death, has been a lonely one (an all-too-common feature of the lives of those who suffer from similar conditions). Art and Craft illuminates the challenges we face in caring for the mentally ill in our communities. It bears witness to the stigma of mental disorders and the difficulty individuals with these illnesses experience in receiving treatment by others that is respectful, without blame for their condition or judgment of the way in which they present themselves. Mr. Landis attends appointments at his local community clinic where he is repeatedly asked about his appetite, his ability to tell fact from imagination, and his compliance with medications. But he is rarely looked at in the eye. However, former caseworker, Donna English, who of her own volition visits Mr. Landis at home, stands out as beacon of warmth and caring. She is concerned about his isolation from the community and how he is coping with the loss of his mother. While she worries about his "adventures," as she calls his philanthropic giving, she offers a glimpse into the ways in which Mr. Landis' exploits may be providing him invaluable purpose. Given the absence of support, companionship, or intellectual stimulation in his day-to-day existence, we are left to wonder if Mr. Landis' ruse has been borne out of his strengths and capacity to adapt to society's standards so that he might be treated well, rather than his illness or any proclivity for overt manipulation. To be certain, like others suffering from mental illness, Mr. Landis' has many strengths, not the least of which are several clever techniques for replicating works of art (for example, using coffee grinds on the backside of a painting to instantly age the canvas). The film culminates with an exhibit about Mr. Landis and his career as a forger. Opening night serves as the backdrop for a meeting between Mr. Landis and Mr. Leininger, who has by then been in hot pursuit of Mr. Landis for several years. The drama builds and we are witness to the anxieties of each man. Despite the common emotion, the reason underlying their nerves could not be more different. Mr. Leininger is eager to finally see justice served. Mr. Landis is worried about whether or not there might be anybody nice to talk to at the gathering. Mr. Landis seeks to be a philanthropist, a term defined by the ancient Greeks as one who loves humanity and, in modern day, as one who promotes social welfare in others. And yet it is clear that the systems necessary on a community or institutional level, as well as the attitudes necessary on a personal level, to promote his social welfare are woefully lacking. Art and Craft is not just a cat-and-mouse art caper about authenticity; it strikes at deeper questions of how we might all live authentically, and receive the appreciation and respect to which we are all entitled. Art and Craft was directed and produced by Sam Cullman and Jennifer Grausman and co-directed by Mark Becker.